A FAST-PACED, REAL-LIFE ADVENTURE SET IN THE BEDROOMS, COMPUTER ROOMS, AND VIDEO ARCADES OF '80s, WHEN THE FIRST COMPUTER KIDS PIONEERED DIGITAL CULTURE. Today's digital culture traces its roots to the 80s, when the first computer generation came of age. These original techno-kids grew up with home-brew programs, secret computer access codes, and arcades where dedicated video gamers fought to extend their play by earning "extra life." In that era of gleeful discovery, driven by a sense of adventure and a surge of power, kids found a world they could master, one few grownups could understand. In this memoir, popular media chronicler, David S. Bennahum takes readers back to his initiation into this electronic universe, to his discovery of PONG at age five. We follow him from video-game addiction-- his Bar Mitzvah gift was an Atari 800 with 48K of RAM-- to his ascent to master programmer with the coveted title of "Super User" in his high-school's computer room. Bennahum reflects on how computers empowered him and his friends to create a world of their own. We see how their geekiness, grounded in role-playing, iterative thinking, and systems analysis, led to a productive, social existence-- the "extra life" they found on the other side of the screen. 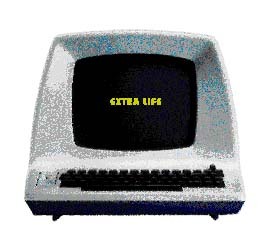 Hilarious, poignant, and packed with little-known computer lore, Extra Life is a grand digital adventure set against the background of the emerging information age. DAVID S. BENNAHUM is a Contributing Editor for Wired, Spin, Lingua Franca and I.D. magazine. He is also the publisher of MEME, an online newsletter on technology and culture with 20,000 readers. 224 pages; 5 1/2" x 8 1/4"
HARDCOVER : NOVEMBER 1998; ON SALE NOVEMBER 11, 1998. "A Catcher in the Rye for the Atari generation. Extra Life poignantly traces technoculture's loss of innocence through the eyes of a young man whose own adolescence mirrors the maturation of cyberspace into something entirely more adult, yet painfully less free." "How strange it is that no one except David Bennahum is paying attention to a force so powerful that it has displaced TV in one generation. Extra Life is an amazing journey into this new unexpected world of computer intimacy." "Extra Life is the fascinating and compelling story of a remarkable time in recent history, the dawn of the computer age. Bennahum's skillful blending of his own life story and the drama of the growth of computer technology is absolutely captivating, allowing the reader to become a member of that rarified group for whom the computer was a partner, not merely a tool. Extra Life is a must read for all who want to marvel at the dreams of the past and glimpse the author's unique vision of the future." "A perceptive, touching account of growing up with computers and how they shape our lives. Extra Life is an impressive contribution both as memoir and as anthropology of a new phenomenon." "David Bennahum's lucid and warmly human book puts you inside the head of a young man whose coming of age coincided with the advent of the computer age. For the first time, someone who was there tells us what it was like to grow up with video games, personal computers, and online networks." "[Bennahum] writes as compellingly about the glee of his first hacking job as other memoirists have written about their first acid trip or incestuous relationships... Bennahum captures with poignancy the yearning he had to be 'Super User,' the computer lab's star du jour, as well as the thrill of discovery when working with computers." I've been getting a lot of mail about Extra Life from folks who got the book and read it. Read their letters to me. All orders are deeply appreciated. If you have any questions about the book, please email me at davidsol@panix.com.